What is the best transformation Mario can make? Fireball Mario is pretty cool. Super speed Mario (what are those stars anyways?) is also okay. Do you remember frog suit Mario? He's always jumping around and eating flies, but not the best for speed. But, the best of all is Raccoon Mario! The ability to eliminate goombas with a single swing of the tail is awesome. Not to mention flying through the sky (real raccoons can't do that, but video games don't have to be completely accurate). 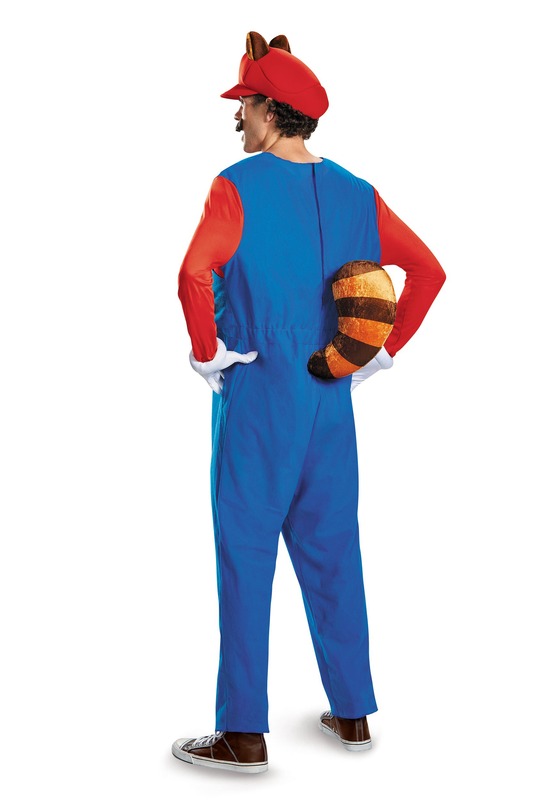 Getting coins is way easier in the Plus Size Adult Deluxe Mario Raccoon Costume. Now imagine having those awesome Raccon Mario powers for yourself. The morning commute would be easy! Just fly into work. Need to do some home remodeling? With one punch or bounce on the bricks they explode. Fax machine at the office not working? Spin around and one smack of the tail should fix it. 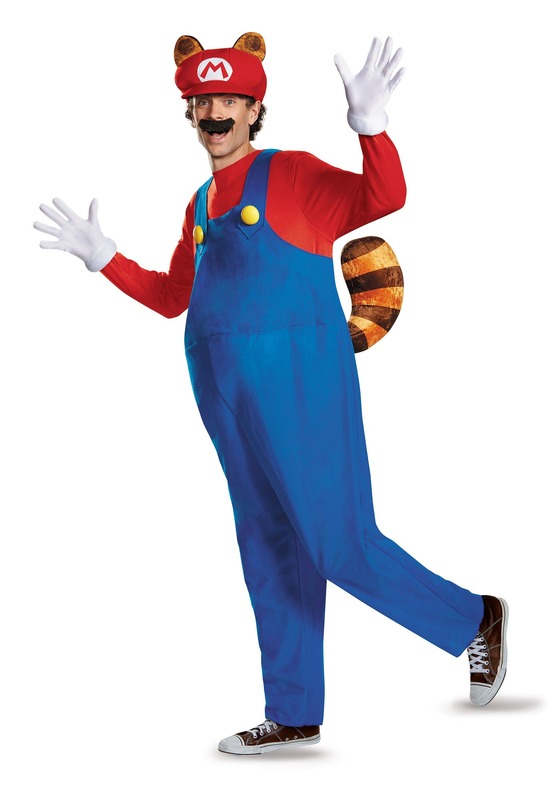 With the Plus Size Adult Deluxe Mario Raccoon Costume, you will absolutely be the life of the party. At this point you may be asking “What am I getting myself into?” This is what: a jumpsuit style overalls with a red shirt, easy style just climb in and Velcro the back. Inflatable, yes like blow up, belly, in case you don't have one. Foam hat with stuffed raccoon ears labeled with your new initial "M", because with this costume your name changes to Mario. A stuffed tail to help you fly that is attached to the back of the jumpsuit. White gloves to keep you pristine while plumbing. And, the best part: a self-adhesive mustache!